I really can't believe I haven't written about Mama's Hip on Bardstown Rd. yet. The natural baby/parenting store is an excellent place to pick up kid and Earth friendly toys and supplies. They are experts on baby wearing and will hook you up with the perfect sling for you and your bambino. And they also know tons about cloth diapering, and even have a Cloth Diapering 101 class on the first Thursday of every month. All these things are wonderful, but they are so much more than just baby retail. The provide a much needed community service. For one, they house the Louisville Breastfeeding Center where they offer lactation consulting, latch checks, baby weight checks and pump rental. 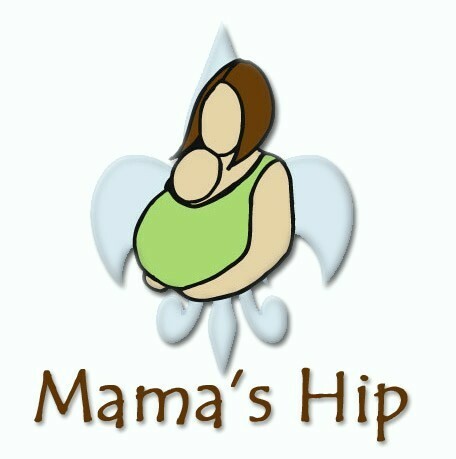 They also have postpartum and birth doulas. Mama's Hip also offers classes for you and your little one, including a Wee Rock! Music class, Mommy & Me yoga and play groups. Check their website for details. Also, I highly recommend getting on their email list (which you can do by sending an email to shannonstone@mamas-hip.com). Not only will you get news regarding their classes, but they always give you the heads up about other baby related, awesome local businesses. So lucky to have such a great resource in town!